Have you ever visited Quora.com? It’s a question and answer site that receives over 200 million monthly unique visitors. There are questions and answers on over 400,000 topics on the site. Is Quora a worthwhile use of your time as a Christian writer? I think so and here’s why. Anyone can ask a question on Quora. Most of the questions are sensible and worthy of detailed answers. However, some of them seem like they were posted by love-sick adolescents, or those trying to gather material to complete a school assignment. There are 40 million US users and 15 million come from India. Anyone can answer questions on Quora. That means you have the opportunity to use your writing skills to share a Christian perspective on any question. You are not restricted to answering questions about Christianity or the Bible, but you can apply your biblical worldview to all kinds of questions. The ChristianWritingToday.com philosophy is, “A Christian writer is not necessarily someone who writes on Christian topics, but someone who addresses all topics with Christian values.” If you agree with that, Quora will be a playground for you; you’ll be able to share you Christian values in a wide variety of human situations. 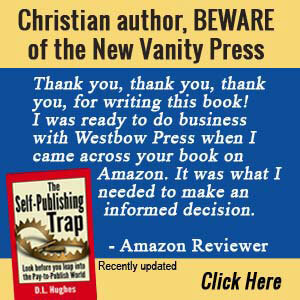 Many Christian writers, particularly new ones, don’t know what they should write about. Many use writing prompts that have no long-lasting value. However, when you go to Quora, you’ll find thousands of real-life situations, and you’re able to use your knowledge and experience to answer the questions people are asking. 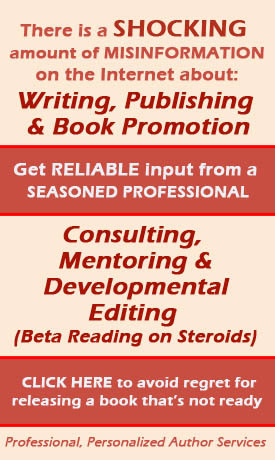 This is an opportunity to build your writing skills with the purpose. It’s not just a writing exercise, but an opportunity for you to think about situations, organize your thoughts, and provide lucid and helpful answers. Write one answer per day to get your writing juices flowing. Some people give short answers to questions. You cannot build your writing skills, or your Quora audience if you take that approach. You want to think about your answer, break it down into three or more parts, and offer readers something of substance. Use as many words as you think you need to answer a question, but 300-400 words is a good minimum. Use content from your own blog or book if you wish, but don’t plagiarize other people. As always, give credit where credit is due. This is an excellent way to build your creative skills. It’s a great training ground to learn to write in a way that attracts reader attention. Readers will “Upvote” your answer if it is well reasoned and well-written. That feedback will help you become a better writer. A nice thing at Quora is that you create a profile before you answer questions. You’re required to use your real name, and get the added benefit of adding details about yourself in your profile. This is particularly helpful to writers who have a blog or authors who have a book. You can link to it in the profile section. A well-written profile adds visibility and credibility to your answers. Also, in each answer, you are allowed to link to a relevant blog post you have written, one of your YouTube videos, or any other of your resources. The links to resources are “no follow,” so you won’t get any SEO benefit. However, you can get hundreds or thousands of visits to your site or other resources when people click on the link in your answer. Be careful about the links you use in your answers. Quora is very clear that they don’t want you spamming readers. The link must directly relate to the answer you provide. It’s a good idea to say why you included the link right in your answer. For example, you might say, “I created a checklist that will help you solve your problem in a systematic way. You can find it here.” That’s where you include your link. Your book on Amazon may help answer the question, but don’t link to it directly because the Quora guardians may think that’s too commercial. Instead, link to a page on your blog where you discuss the book and offer it for sale, or to a third-party blog where your book is discussed and available. So, you can definitely get visibility as a blogger or author using Quora. But you want to avoid all appearances of evil by not doing overt self-promotion. They might restrict or ban you for that. Almost all Christian writers want to be in the business of bringing people to the Lord or encouraging Christians in their faith. In my opinion, that’s the most important reason for answering questions on Quora. In a way, giving Christian answers to the secular culture there is like the days when Christians smuggled Bibles behind the Iron Curtain. There is a clash of ideologies, but that makes Quora a fertile Christian outreach destination. The Christian values you offer in your answers will have more authority among nonbelievers when you identify yourself as a regular person. Also, you want to avoid adding Bible quotes or references unless someone is directly asking for them. Allude to them and paraphrase them, or put them in the context of your own life journey, but you want to avoid appearing preachy to a predominately non-Christian readership. Does this mean you must forsake your Christian identity? Of course not. Be your authentic self without using Christian lingo, or coming across as the “Church Lady” or other negative stereotypes. Nevertheless, you can and should clearly communicate your Christian values on Quora. Don’t be afraid to share your Christian testimony, but use terms non-Christians can grasp. The term “saved” means a lot to Christians, for example, but means almost nothing to unbelievers. If you used the word “transformed,” you’re able to explain what happened to you in a language they can understand. Think of your reader and use words that make a connection with them. Quora is not without pitfalls. It was started by two Facebook alumni in 2010, and so you must be careful to not run afoul of their “Socially Progressive” Silicon Valley sensibilities. As most of us are aware, politically correct people like these are worse than Calvinists when it comes to witch-hunting. That stands for “Be Nice, Be Respectful.” That seems like an excellent policy, but it is often used in a pejorative way. Anyone can claim you’re not being nice or respectful no matter what you say, and you’ll be censured. It’s okay to viciously attack elected officials on Quora, it seems, but expect them to bounce you if you express views that disagree with the often odd “politically correct” views of Social Progressives. The “BNBR” policy is a way of suppressing ideas because it is applied unevenly. Quora users or moderators can slam you for any reason if you don’t adhere to their herd mentality. A valuable writing outreach ministry on Quora even with this kind of restraint. State your views, but never let others trigger arguments. Just walk away from them without comment. Even your soft answers may be misinterpreted by some misanthropic Quorans. Good advice: Cut and paste your Quora answers into a file and save them on your computer. Even if you get banned for your Christian views, you’ll be able to recycle your content. You own it, not Quora. There are plenty of excellent reasons to answer questions on Quora. However, you can use it in a different way and that’s a bonus. Use it for book and blog inspiration and market research. There are thousands of ideas for blog posts there, and a little deeper research will also reveal some great ideas for nonfiction books. You can also get inspiration for fiction plots and plot points on Quora. For example, there are over 100 answers to the question, “Can love really last a lifetime?” That is grist for almost any fiction writing mill. Explore Quora today. You’ll find it a fertile field for Christian outreach or for finding inspiration for your blogs or books.